Valentine's day is coming on 14th feb and I am ready to listen to the debates on this particular day. I was 18 years old when my close friend told me about this day which is being celebrated all over the world. My birthday comes in February and it is superlatively correct that I have a special place in my heart for this month. But I never knew that people crazily celebrate this day which is specially made up for love. Showing love and celebrating Valentine's day were difficult in my era specially when we were studying in a girl's college.Now every street and corner seems to be filled with love on 14th February. But are we actually in love or are we just boasting off our love in public? Love is no where when you look around. Everyone is busy in showing love and emotions for their partners on social media. Many youngsters are following each other and their purpose seem to be clear when they talk about love. Love is a divine and purest feeling which is expressed by all living beings on earth. Humans do it secretly and animals shower their love openly. This is the only difference I have noticed since I have taken birth. There is no harm in expressing love on social sites but purity and dignity must be maintained while doing this. One sided love, infatuations are not real love. If you run after a celebrity or a sports person and cut your wrist by their names , I would call it foolishness. Real love exists in our hearts. It's really funny if you measure love with the size of bouquet and chocolates bought by your partners. It would be perfect when you spend time with your partner or go for a long drive rather than writing long posts on social sites. Sometimes you can't find time for your partner and you sing songs for him or her in public , it looks fake when you know you are not concerned. Many partners don't respect each other in daily life but you can easily find them walking hand in hand in a mall or having expensive meals in restaurants on Valentine's day. In my view respect and caring nature are key ingredients for love in a relationship. It hardly matters how much you spend on a dinner or a date. If you are able to spend a holiday weekend in Switzerland , there is nothing wrong in that. But when you fight over this issue and just go to show off your friends about the day you spend in Paris with your husband , do you feel right in any way? It's good that people have selected a particular date for showing love but don't make others talk about your love in public. Emotions and feelings make a relationship perfect. Keeping hatred in hearts and showing fake love in public may be a new trend but I am not in favour of this. For me everyday is a Valentine's day. 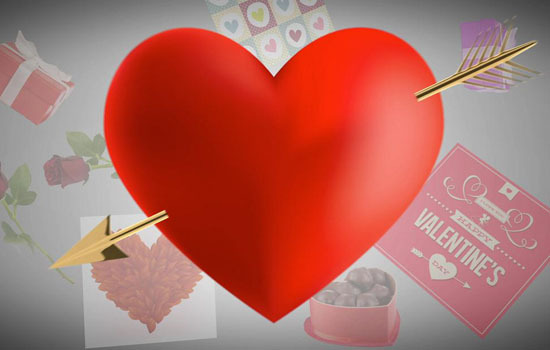 Love your partners 365 days and 24×7 and make all days a valentine for your partner in true sense.